Discover how humanity is reflected in art while having an afternoon chat with Dr. Fiona McDonald, an anthropologist, researcher, technical publications writer, and team member of newknowledge.org. Her expertise includes visual anthropology and material culture. She completed her Ph.D. in the Department of Anthropology at University College London. Dr. McDonald’s broad experience includes curating exhibitions at the intersection(s) of art, anthropology, and ethnographic object analysis within museums. Her broader areas of interest are Indigenous material and visual culture, repatriation, oral histories, contemporary Indigenous art, and museum studies. 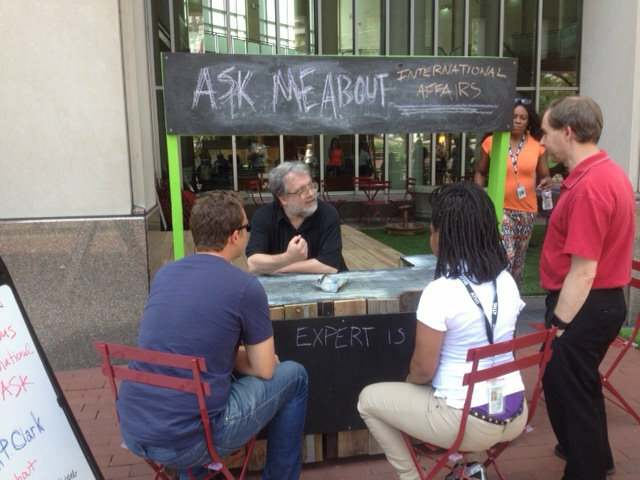 Ask her anything at the Ask-an-Expert booth thanks to our partner, the IUPUI Arts and Humanities Institute.